Air101: The New Zimbabwe Airways - Owned by Robert Mugabe Heading to London? The New Zimbabwe Airways - Owned by Robert Mugabe Heading to London? It is being reported in local media that the Zimbabwean President Robert Mugabe is the main financial backer and owner of the new national airline, Zimbabwe Airways. The news has been widely condemned by opposition leaders and politicians through Africa who fear decades of corruption and embezzlement by Mugabe has given him a vast personal wealth that affords him the possibility of owning his own airline. The 93-year old's wealth has increased year on year, whilst most of the country are unemployed (80%) and struggling to even survive. He will become the first head of state in the world to own a national airline. Leading opposition party, the People's Democratic Party (PDP) are not pleased, "The first family has become a centre of corruption and looting and is a disgrace," Jacob Mafume, PDP spokesman told local media. Adding "That a deal can be negotiated on behalf of the state and then turned into a family entity is criminal, Zimbabweans must be angry. The law of the land does not allow a president to use his official position for personal gain." 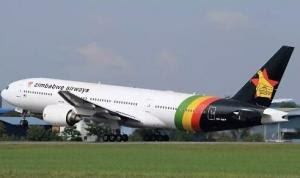 To avoid all taxes, the airline is registered in Mauritius, with Mugabe's son-in-law, Simba Chikore, instrumental in the airlines' creation, he's also tipped to become the carriers, chief executive officer. If Simba Chikore's name seems familiar, then you'd be right, he is currently the chief operating officer of the troubled Air Zimbabwe. Banned from flying into the EU due to poor safety standards, Air Zimbabwe has debts of more than $300 million and looks unlikely to survive more than a year. The creation of a new airline will sidestep the regulations and debts that have afflicted Air Zimbabwe in recent times and would allow Mugabe and his family of profiting from the long-haul routes to Europe, Asia and possibly even further. It's believed that plans have already been issued for a direct route to London Gatwick from Harare, starting in January. Zimbabwe Airways is leasing aircraft from a Malaysian company and in June a Boeing 777 decked out in the Zimbabwe Airways livery completed a two-hour demonstration and familiarisation flight from Subang airport in Malaysia. Zimbabwe transport Minister and Mugabe pal, Joram Gumbo is also believed to be heavily involved in founding Zimbabwe Airways, last year he accompanied Mugabe and his wife Grace on a luxurious trip to Malaysia and Singapore. Gumbo denied media reports that Mugabe owned Zimbabwe Airways, claiming that the airline is owned by a consortium of local and non-resident Zimbabweans. "We were on the same flight with the first family, on their way to Singapore, while I dropped off in Malaysia for the lease negotiations. I then followed them to Singapore and we returned back together," he said to The Financial Gazette. However, many in the African aviation industry expect there to be an announcement on or around 9th November, which will coincide with the renaming of the Harare International Airport to Robert Mugabe International.